Material: 50% cotton, 50% modal. 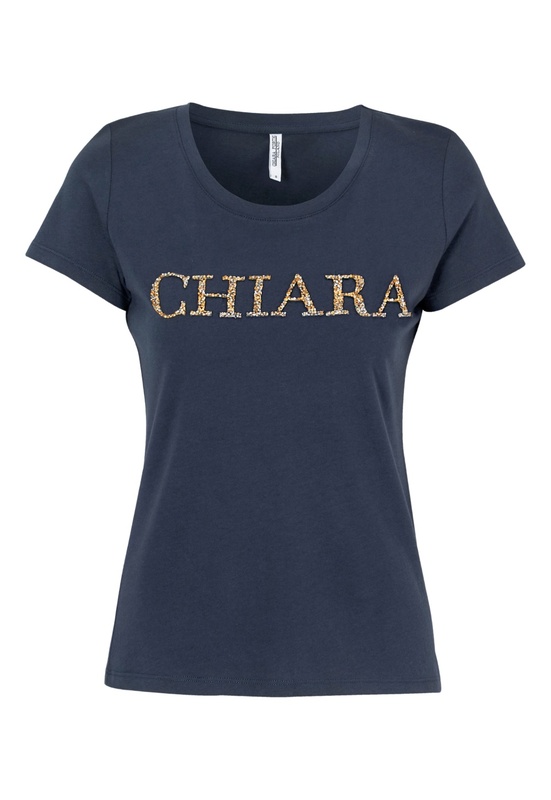 Logo T-shirt from CHIARA FORTHI. 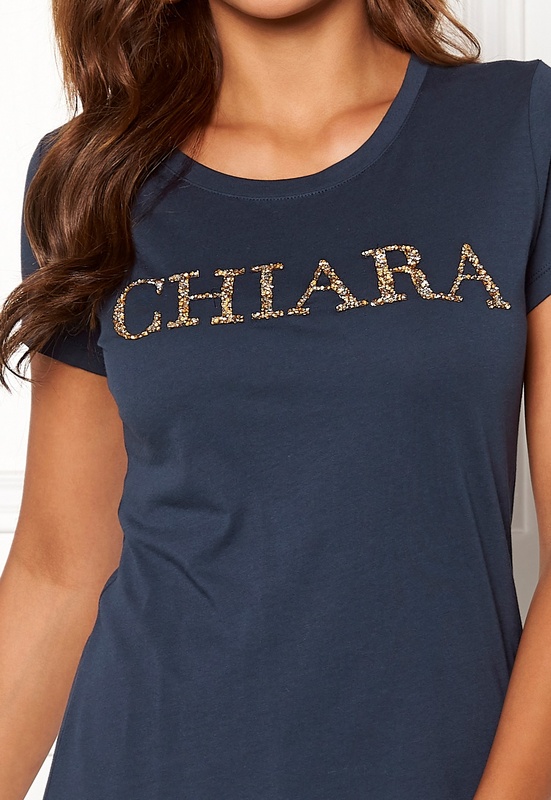 - The logo consists of pretty small stones which add that little something extra. Total length of the garment in size S: 61 cm.